Munich - The suspense could hardly be higher as the Bundesliga gears up for its penultimate round of action, with all nine Matchday 33 fixtures kicking off simultaneously at 15:30 CET on Saturday. 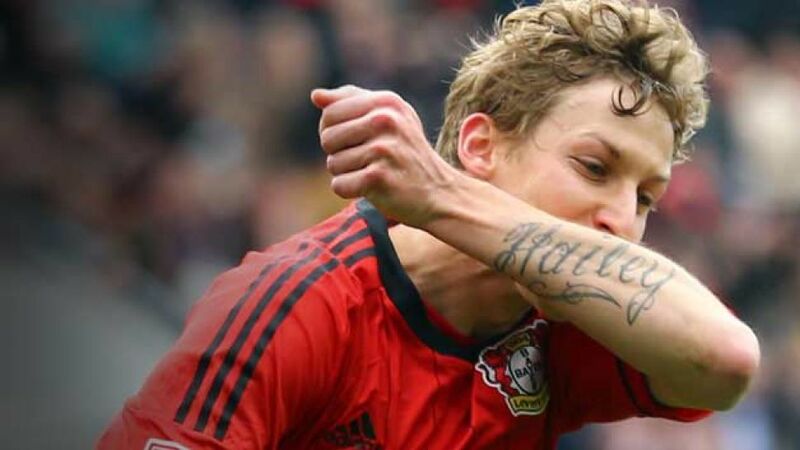 Leverkusen have already achieved their main priority this season by qualifying for the UEFA Champions League. “Securing third place was a great achievement for us, and one that I’m very proud of,” said head coach Sami Hyypiä in his pre-match press conference. The players will want to give the home fans something to cheer about in their final game at the BayArena, but one player in particular will be looking for more than just an entertaining flurry. Striker is neck and neck with Borussia Dortmund’s Robert Lewandowski on 23 goals for the season, and has two games left to edge ahead and take the coveted Torkanone. Hannover’s season, by contrast, has ended rather underwhelmingly. After being knocked out of the UEFA Europa League in February, the Reds have struggled with injuries to key players and, with a third successive finish in the European places proving a bridge too far, their focus has instead turned to finishing as high up the league ladder as possible. After keeping Hoffenheim’s survival hopes alive with two late goals in Bremen a week ago, Sven Schipplock could be in line for a first against Hamburger SV on Saturday. The 24-year-old has appeared 46 times in the Bundesliga, but still awaits a full 90-minute run-out. “He can run longer,” said his coach Markus Gisdol, who added it “is a serious consideration” to name him in his starting XI. “Sven is in good form and of course you’ve got to think about it,” added Gisdol, who at the same time recognises Schipplock’s “qualities as a substitute.” He underlined those last weekend with two goals which, when all is said and done, could keep Hoffenheim in the top flight. Schipplock, incidentally, has scored five goals in 14 games this season. Hamburg coach Thorsten Fink does not have as many options, with Rene Adler, Michael Mancienne, Dennis Aogo and Tolgay Arslan all ruled out. Nevertheless, Fink firmly believes the door to European football is still wide open. This is a game in which one side needs the points a lot more than the other. After a fantastic first half to the season, the points have dried up for Fortuna in 2013. Their last win came against bottom club Greuther Fürth on Matchday 22 and they are just two points ahead of 17th-placed 1899 Hoffenheim, as well as being level on 30 points with FC Augsburg in the relegation play-off place. Nuremberg’s target was also to stay in the Bundesliga, but that was secured weeks ago after a run of nine games unbeaten following the appointment of new boss Michael Wiesinger during the winter break. In the 50-year history of the Bundesliga, no club has ever gone an entire season without recording a home win. Yet that could be the fate that befalls already doomed Fürth, whose home record this season reads played 16, drawn four and lost 12. It has indeed been a wonderful nine months for the Black Forest outfit. From beating the drop last season, Christian Streich’s team have set the league alight with their fearless approach to the game. Currently four points behind FC Schalke 04, they are also within touching distance of the last remaining Champions League place. Christian Streich, however, is already looking forward to next season, having just agreed a new contract with the club. “Why would I want to want to leave Freiburg? There are lots of reasons to stay here,” said the 47-year-old. Both of these clubs were chasing a place in Europe a few weeks ago, but have since seen their bids somewhat derailed. Mainz have endured a difficult year, winning just two of 15 games, and their top-six hopes were effectively ended after a 2-2 draw at Hannover last weekend. Gladbach suffered a costly defeat at home to Schalke last weekend, but all is not lost in their bid to reach the Europa League. They trail sixth position by four points with two games remaining, and simply have to win this weekend if they are to return to the competition next season. “It will be extremely difficult to get something against a team with one of the best defences, but we have to win in Mainz. There is no alternative,” affirmed Foals coach Lucien Favre.